This pianist was born Ellerton Oswald, a name that surely doesn't sound as jazzy as the one he would later adopt when he began working in the mid-'30s in a combo led by Jesse Stone. He continued playing piano until his death in 1969, sticking religiously to one form of jazz or the other without ever compromising. Although not a big name in jazz, his stylistic range is broader than some other players who are much more famous, spreading from the early hot jazz sounds of master soprano chirper Sidney Bechet to the speeding-down-the-turnpike hard bop of tenor player Dexter Gordon's The Chase! projects. 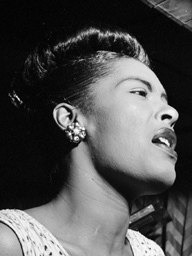 He played and recorded with Willie Bryant, Sidney Bechet, Teddy Hill, and Frankie Newton in the late '30s, but it was his recording sessions with jazz vocalist supreme Billie Holiday that form his most enduring legacy from this period. He can be heard accompanying two of the singer's favorite moods; dark and cynical on her classic "Strange Fruit" and groovy and upbeat on "Fine and Mellow."